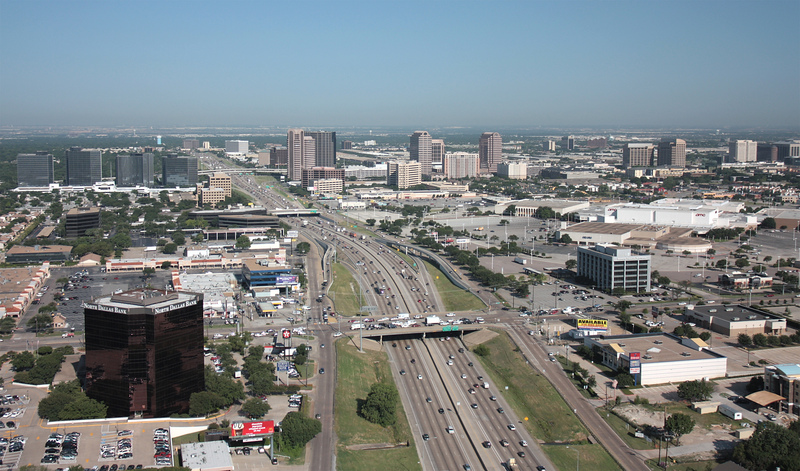 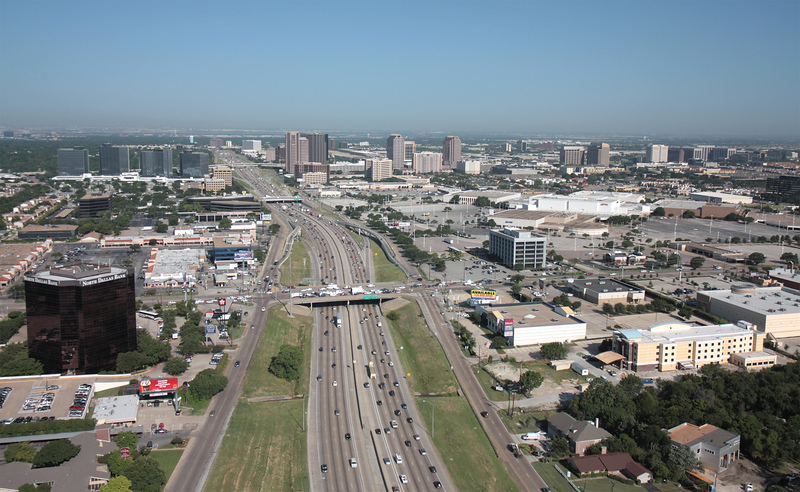 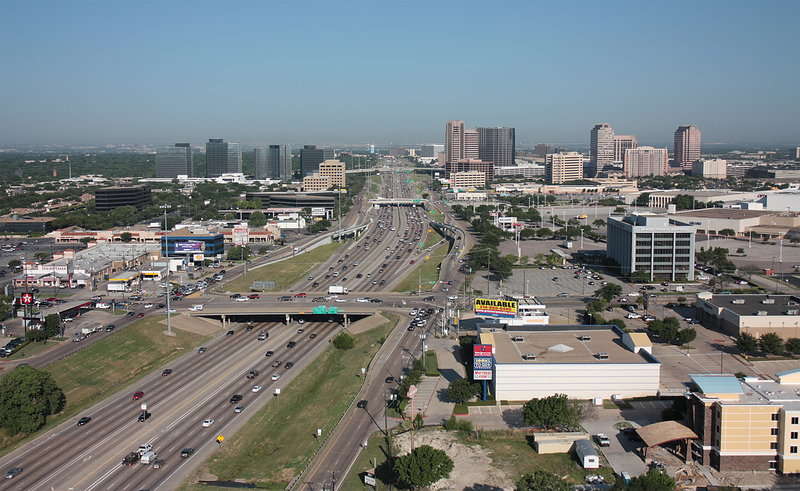 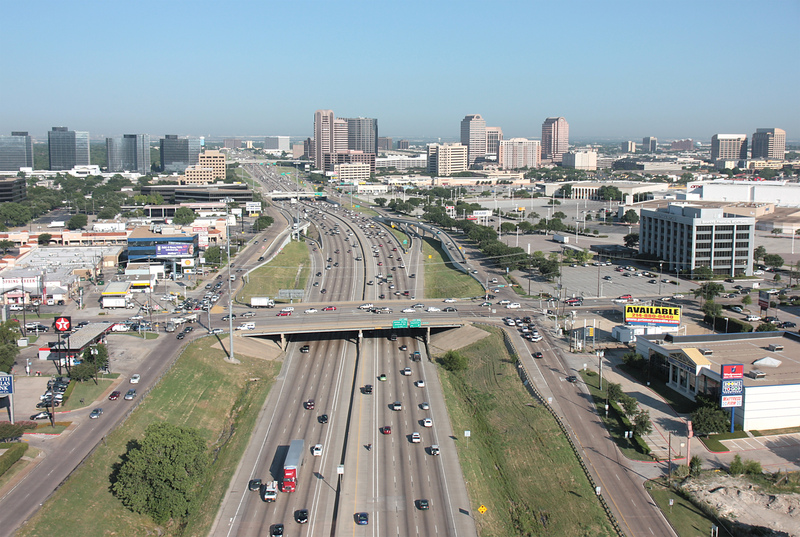 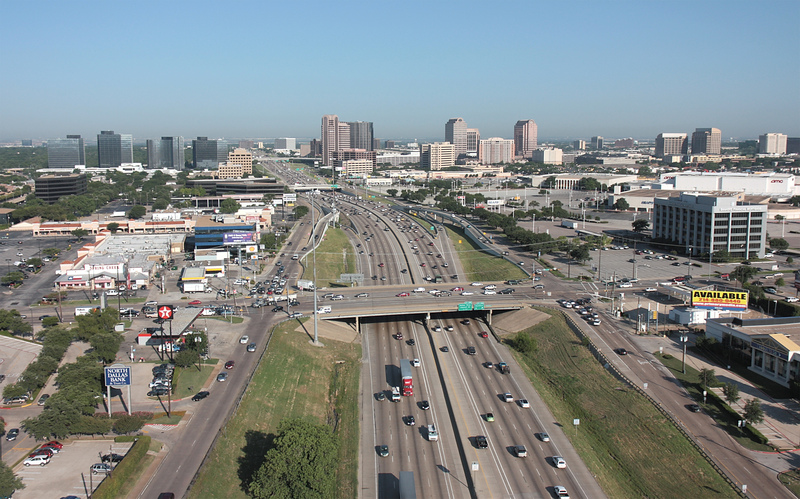 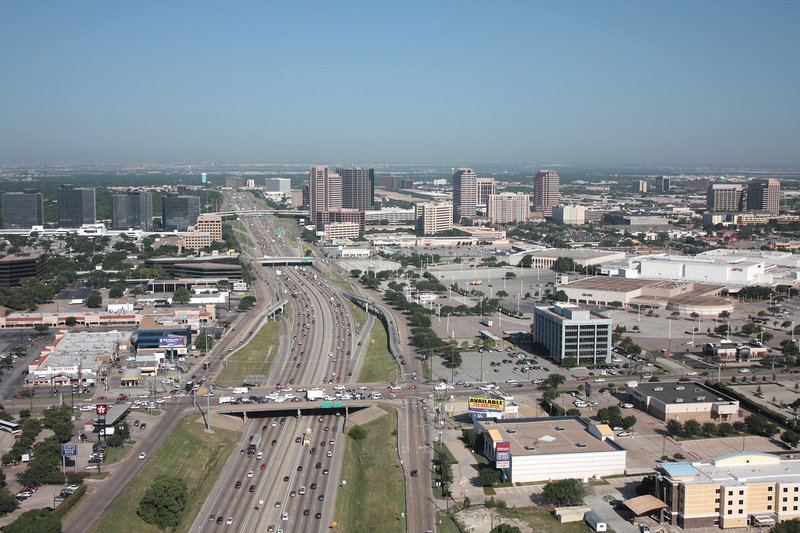 The I-635 main lanes were widened and managed lanes were added for the LBJ Express Project, completed in 2015. 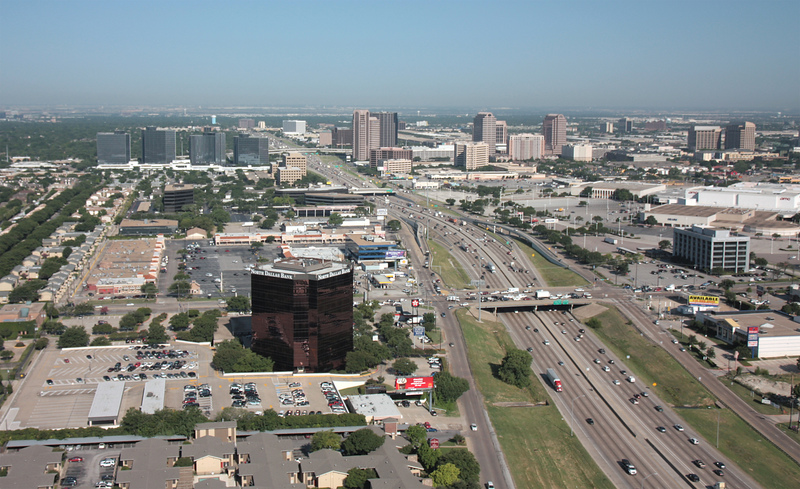 These aerial views may be used by anyone for any purpose, including web and print. 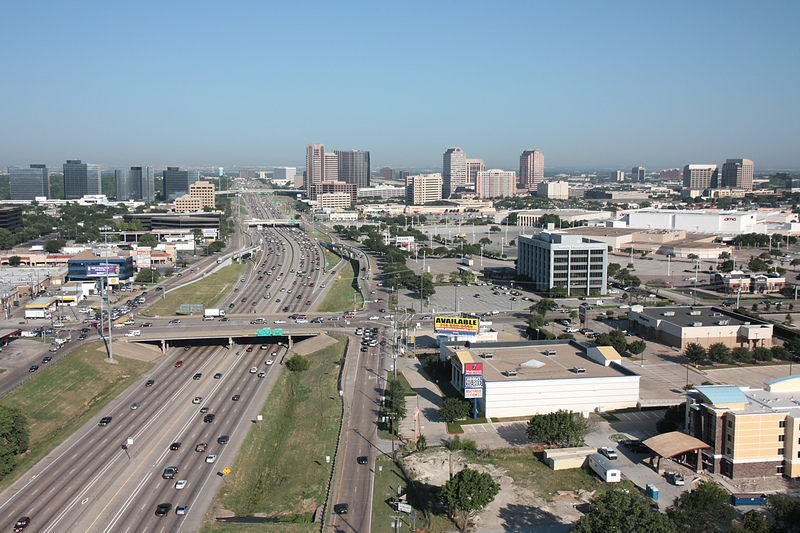 Click on thumbnails to see larger image, additional image information, and additional image sizes available for viewing.